When raw milk started to become popular in the United States around 2007, there were a number of outbreaks of illness. At that time, many dairy farmers knew nothing about producing raw milk for human consumption. Most only knew about industrial dairy farming. Since the emergence of The Raw Milk Institute (RAWMI) in 2010, farmers now see that it is essential to test and take many precautions to achieve pathogen-free raw milk. RAWMI's Common Standards are some of the most strict in the world, but all the listed farmers make an effort to achieve them. The Common Standards and the Risk Assessment Management Plan, which is a food safety plan, are the basis for reducing risk and increasing food safety with transparency and integrity. Total Coliforms and Standard Plate Count are microbiological tests done at a local laboratory where milk samples are sent. Australia is well equipped to do the testing for raw drinking milk (RDM). Dairy scientists in Australia however, know a lot about dairy that come to the processing plant in big milk tankers, where the milk from many farms were co-mingled. They know how raw milk produced for pasteurisation behaves and how to to process and control it. Most dairy scientists in Australia know nothing about how regulated RDM from small dairies behave, or are produced. The Raw Milk Institute recognises that the smaller the operation with a proper food safety plan in place, the less testing is required, because there will be more intimate knowledge of the cows. No pathogen testing however, is completely unacceptable. Pathogens are microbes that may be harmful to human health. Testing protects both consumers and farmers, and helps build trust that farmers know what they are doing. Mark McAfee from the Raw Milk Institute do not recommend on-farm pathogen testing, because it is a very risky process that invites creation of pathogens from the lab itself. Mark McAfee has said, that he has a personal policy: "if you don't test, then you don't know. What gets tested and performed gets known. If you don't do the work, you really won't have the test result or the data. The best predictor of future events is really knowing well what all past events have been." Organic Pastures dairy is the largest raw milk dairy in the U.S.A. with a milking herd of 500. Mark has said that testing in California for OPD's large-scale operation can be so quick; they can get a test result back in 10 hours using BAX PCR and other services from local labs. Organic Pastures dairy has a unique test and hold system to screen for pathogens before the milk goes out to consumers. Since July 2018, the BAX system essays meet ISO 16140-2 standard for all AFNOR-approved methods, more here. This is a food safety detection system. Dairy Food Safety Victoria requires producers who produce raw milk for raw cheese making, to initially test weekly for pathogens, then monthly if results are reliably good, see this farmer checklist. Testing for pathogens is important for raw drinking milk (RDM), however, raw cheesemaking works a little differently. The Pasteurian perspective of the last few decades that pathogenic microbes make us ill, therefore the best route to safety is to annihilate the entire microbial community, is not holding up to the latest science. Bronwen Percival from Neil's Yard Dairy in the UK is a cheese expert. During a recent visit to Melbourne, she predicted that the testing regime of the future for raw cheese, would focus on determining if the cheese has large amounts of beneficial microbes, instead of testing primarily for pathogens. She reasons that when cheese contains, and are surrounded by vast quantities of beneficial microbes, they crowd out potential pathogens—cheese science and experience shows this to be true. 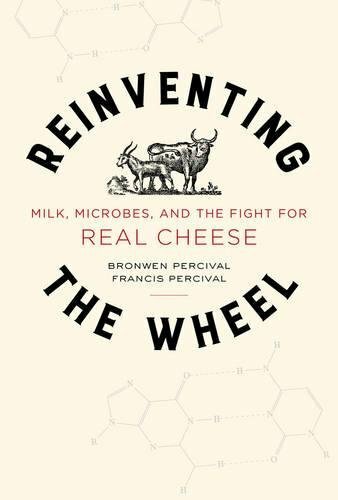 Bronwen and partner Francis Percival have written a great book called Reinventing the Wheel: Milk, Microbes and the Fight for Real Cheese. 1. Raw cheese: There is increasing frustration for raw cheesemakers who are required to conform to too strict coliform counts. The milk comes from small dairies with high quality control in place. The requirement for strict coliform testing in some parts of the world, is because some see it as an essential food safety measure, when research now show it is not. This practice harms and prevents cottage food industries from taking off and flourishing. Evidence is stacking up that the testing for coliforms, in raw cheesemaking, are a poor predictive behaviour value in identifying food safety concerns. Evidence is mounting that there is no correlation between generic E.coli counts and the pathogenic E.coli. See point 45 & 46 of this U.K. microbial assessment, and also this paper from Cornell University. Cheesemakers say that the beneficial e.coli are responsible for the superior flavour and even increased food safety of the raw milk cheese. They say that putting these strict limitations on the amount of coliforms raw milk for the production of raw milk cheese are allowed to have is insane, more here. 2. Raw drinking milk: In the production of RDM however, the testing for colifoms can be a useful measuring tool for the dairy farmer, but arguably not an essential food safety one. RDM with a very low coliform count can have a shelf life of up to three weeks if handled properly. It is also not too difficult for experienced raw dairies, or micro-dairies, to achieve a not-detectible coliform count. Those who know the tricks of the trade can achieve it frequently, and do. See this article for more. Coliform counts in RDM have a direct correlation to shelf life; the higher the counts, the shorter the shelf life. Higher counts means there are more microbes present, which will culture or sour the milk more rapidly. The benefit of coliform testing for the farmer is as follows: consumers will choose to buy the milk from the farmer who can produce the longest shelf life. Another benefit is that sudden high spikes in coliform counts, can also inform the farmer that something is going wrong in his production process, and needs immediate investigation and troubleshooting. The idea is to achieve consistent low coliform counts for a successful business. When raw milk businesses have achieved this, life is plain sailing. 3. Pasteurised dairy: Dairy processors do microbial testing on raw milk produced for pasteurisation because they want to get fresh milk to the processing plant before it sours or spoils. The industrial dairy industry recognises that coliforms will grow in milk because they ferment the milk sugar lactose. Raw milk produced for pasteurisation can have very high coliform counts compared to the maximum allowed for regulated raw milk, because milk from many farms are co-mingled in milk collection tankers. Dairy scientists view coliforms in a very negative light as a group of contamination organisms that will grow in milk, potentially spoiling their dairy product before it can be processed, or after, and potentially affecting profits. There are many controls at the processing plant and dairy scientists understand the nature of raw milk produced for pasteurisation very well. The dairy farmers that produce for the industrial dairy market are often paid very poorly, and there is little incentive for them to take better hygiene precautions, as milk is co-mingled in the milk tanker anyway. If one farmer produces poor milk quality, it effects and contaminates all the milk. In addition, in this video, medical microbiologist Peg Coleman explains that when you heat milk, more good microbes are killed off, leaving pathogens to grow faster. She says ultra-pasteurised milk is going to support more growth of pathogens post-pasteurisation, than raw milk, because raw milk has the competing microbes that can protect. Many in the raw dairy industry say that RDM and raw milk cheese are two very different products. This is true. This is easy to understand if you consider the following: in the production of RDM we want to produce very high quality raw milk, with a low coliform count, and prevent the microbes from multiplying because consumers don't want milk with a sour taste or worse, milk that turns to curds quickly. Consumers want a milk with a long shelf life. That is why care is taken to bring the temperature of the milk down to about 4'C soon after it has left the udder, and to maintain that during transportation and storage. However, with raw cheese production, we want to harvest a high quality raw milk, preferably soon after it has left the udder. The beneficial microbes in the milk, indigenous to the farm, then participates in the process of multiplying under the right conditions and culturing the milk until it forms a curd. protective components in raw milk, like lactoferrin and lactoperoxidase, can function or be overwhelmed. Beneficial microbes and oligosaccharides are two components in the raw milk that the calf need, because it is born without a functioning rumen. The oligosaccharides, or complex sugars, are the food that help the beneficial microbes to establish a colony in the rumen of the calf. Raw milk actually contain both the probiotic microbes, and the prebiotic food for the microbes to colonise. It has also been shown that oligosaccharides can bind pathogens, thereby offering protection from infection, see the Calf category for more information. Human breast milk is also abundant in oligosaccharides. This also means that if raw milk is harvested and left in a jar at room temperature, the lactic acid bacteria naturally present, will start consuming the milk sugars (including lactose) and eventually produce a set yogurt. The presence of bountiful lactic acid is another level of protection against pathogens, and it is a self-preservation system of the raw milk which humans utilise for cultured milk like kefir, yogurt or cheese. growth. Raw milk produced for pasteurisation is not produced according to these high standards, therefore the protective systems are easily overwhelmed, and cannot function. It is also important to note that once raw milk is pasteurised, these innate protective systems are disabled. That is why pasteurised milk is vulnerable and defenceless post-pasteurisation. Great care has to be taking during bottling. Temperature control must be consistent during transportation and storage. If RDM is left to sit on a kitchen counter it will simply sour eventually because it has its many systems intact. Australian microbiologist Dr Ron Hull has given expert evidence about the safety of raw milk. On this page he describes why regulated RDM is safe. He says that “farm fresh unpasteurised milk produced by grass- or hay-fed animals and handled appropriately can be just as safe as pasteurised milk.” These testing regimes can be challenging for the newcomer and even the experienced to understand, but they are useful for a variety of reasons. The above describes the natural function and nature of raw dairy, which is often misunderstood. There are two kinds of raw milk; one produced for human consumption and another produced with the expectation that it will be pasteurised. They are different products, with different standards, and different values. ARMM advocates for a regulated RDM system. We are looking forward to working with authorities. Total Coliforms tests for general air- and ground-born bacteria (the test includes good bacteria like Lactobacillus and can contain potentially harmful bacteria, there is no discrimination in this test). High counts can result in milk that spoils rapidly. The count is considered to indicate the overall cleanliness and bacteria levels of milking equipment and the teats of the animal. Micro dairies producing RDM are often able to achieve undetectable coliform counts (example) because they can take a lot of care and attention to detail during milking. Large dairies like Organic Pastures dairy in California are able to achieve this too. They test twice a day using BAX PCR RT at a local laboratory and get results in 11 hours. They often get less than one on Coliforms, with zero pathogens, milking 580 cows, which is very impressive! OPD is listed with the Raw Milk Institute and operate under very high quality controls. Also listen to this interview for more information on how rare finding a pathogen can be when the cows are healthy and clean. The interview also explains why low coliforms counts are important for long shelf life. In this video a British microbiologist gave a unique description of coliforms. She says that coliform testing can be an early warning system that your hygiene practise is not as good as usual. Dr Jane says that coliforms are defined in the dairy industry because they ferment lactose, which is the sugar in milk. The lower the coliforms test results, the longer the shelf life of the milk, which is why it is a useful 'indicator organism'. These are the lactic-acid, yogurt-like bacteria consume lactose sugars and give raw milk a tart flavour after it has been cultured. It is also curious that scientists tend to refer to coliforms as 'toilet bacteria', which can be both confusing and derogatory. It is important to remember that the gut of both cows and humans naturally contain lots of beneficial e.coli when they are eating a good diet. Coli means 'from the colon'. When cows start eating lots of grains, distillers- or brewers grains however, their gut bacteria changes to favour the potentially harmful e.coli instead, and their manure may contain more pathogens, read more about it in the Feed category. 3M Petrifilm plates are a fairly new technology to test for coliforms that have been used by many American raw dairy farmers for the last few years with great success. They are very cost effective, convenient and easy to use and available in Australia as well. According to the farmers from The Family Cow in Pennsylvania, this brings the "Test-and-Hold" protocol within the reach of every raw milk farmer. See this page for an interpretation guide on how to use the various plate tests. Here is the interpretation guide for the coliform count. 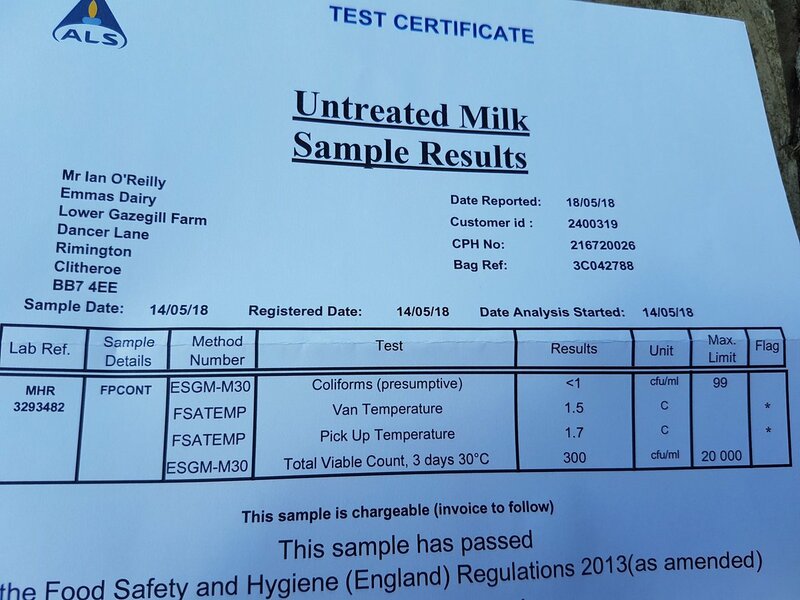 These on-farm tests can be very useful for the farmer, however some authorities feel it is not suitable for use as the sole test for the routine monitoring of raw milk. When Australia regulates the sale of raw milk from cows, dairy authorities may carry a list of approved test methods. New Zealand's MPI currently approves the use of some of 3M's Petrifilm plate tests. Cibus DX: New rapid pathogen test technologies were discussed at the International Milk Genomics Consortium 2018. It can detect 4 human pathogens of most concern on-farm in 30 minutes. The Raw Milk Institute calls the new Cibus DX 30-minute test "highly accurate, on-site pathogen detection technology has been approved for use on the big four human pathogens: Campylobacter, E. coli O157:H7, Listeria monocytogenes, and Salmonella. This breakthrough technology does not require enrichment and does not create an on-farm biohazard (unlike the 3- and 4-day pathogen testing with enrichment that has been used in the past)." Read more in the newsletter here. The Standard Plate Count method consists of growing or culturing the bacteria in a nutrient culture petri dish and counting the colonies that develop. This test is usually done at a laboratory. For a detailed explanation about milk testing in the USA see Tim Wightman's Raw Milk Production page 31 handbook. Tim Wightman also produced a great educational DVD, Chore Time: Milking Made Easier by Planning Ahead. It was filmed on location at a micro dairy working milk parlour. It is a useful tutorial for those interested in the best practices in raw milk production. These resources are kindly provided for free by Tim and the Farm to Consumer Foundation. Bactoscan: A high bacterial count or a Bactoscan is indicative of poor storage (milk is not kept sufficiently cool), possible mastitis (udder infection) or poor hygiene practices. Fortunately high bacterial counts can be lowered through proper management and regular checkups, see Mastitis in Cattle - Bactoscan Problems and Solutions. The Bactoscan is a device usually located at test laboratories. It tests the actual bacteria count in raw milk, not the cultured number of bacteria, in less than 7 minutes. On-Farm Labs: In September 2017 FOSS announced BacSomatic, the first ever integrated bacteria and somatic cell counter for testing the hygienic quality of milk, which can be done on-farm too. These testing devices are usually most appropriate for on-farm use when there are a large herd and an on-farm laboratory. However, some American raw dairies of all sizes now have an on-farm laboratory, like Kid Creek Pastures and The Family Cow. It requires extra work, some specialised training and a dedicated testing room, but it can be done if there is a desire for it. It gives the farmer more control and confidence, and it is very useful to have. The more experienced farmers get, the more knowledgeable they get on their product and the quicker they can respond to problems they may encounter. These tests are great monitoring tools to reduce risk. Counting the number of cells in milk has become the standard method of measuring milk quality and udder health. The SCC shows the number of white blood cells that are present in milk (it is normal for cows to generate cells). A higher presence of white blood cells means the cow is sending more cells to her udder to guard or fight off invading microorganisms. The SCC test can be used on milk from the bulk tank; this has always been good management strategy in the industrial dairy industry. The milk from the individual teats of the cow can also be used to detect mastitis. Sometimes dairy animals can have an infection in only one teat, called a quarter. The SCC a great on-farm measurement tool. The DeLaval Cell Counter DCC is a New Zealand portable on-farm device and is used widely by New Zealand raw milk dairies like this one. If there is one tool that will benefit the raw dairy farmer most, it is the Somatic Cell Count device because it helps to detect potential problems in the udder early. Controls on the production of raw milk for raw milk cheese in Australia currently require the mean somatic cell count to be <200,000/ml for bovines. Dairy farmers must watch for high or erratic SCCs because they are good indicators of problems. It can be a good practise to keep test records on file for at least a year. It may help the dairy farmer identify patterns or if actions need to be taken to correct a possible problem. It may also show the progress the dairy had made at certain times when specific risk reduction strategies were implemented. It can be very useful. A regular testing program and actual data are reassuring to consumers and food safety auditors as well. (Many raw dairies overseas display a copy of their latest test results in their sales room for consumer confidence.) It can be great for research purposes as well because the first farmers who start producing RDM in Australia will be the pioneers. Regulation may require the keeping of records like the nature and origin of feeds, the use of veterinary products and occurrence of disease that may affect the quality of the milk. Inspectors or veterinarians may want to see a record of abnormalities or diseases that were picked up in which animals and look for patterns. A problem animal may need to be removed from the milking herd if intervention strategies are not effective. The business owner may also need to provide records of what dates specific treatments were administered and withdrawal periods. Keep all of these organised in the general office. Australian requirements for the production of raw milk cheese also identify what kind of heightened testing and monitoring regimes may be expected from farmers producing raw drinking milk (RDM) as well. See this Dairy Food Safety Victoria document and under the dairy farmers category, click on DFSV checklist. It can be a very useful practise to keep a calendar. It can be a bit of work, but if it is organised well, it can serve the farmer and the operation. An online calendar is very useful because you can set it to automatically remind you every X amount of weeks to perform a certain task, like perhaps replacing the water filter. Bacteria can build up in a water filter, and if it is not replaced with a certain frequency, it can become a serious risk to the operation. There are also other tasks that need to be completed at the expiry date of certain equipment. A UV light on the water supply only has a certain lifespan and it can be useful to make a note in your calendar indicating when this needs replacement. Keeping all records gives peace of mind and assurance that your communication, procedures and farming methods are sufficient. Keeping good records of details like who was in charge of milking on a particular day, and whether anything unusual was observed about one specific animal, can help to produce a consistent quality product. It can also identify who is lax and not doing their job correctly. It can help milkers to get relevant information to the dairy farmer. A large message board in the milking area can also help to communicate important information. See the Standard Operating Procedures for producing raw milk article for more. In many countries where raw milk is regulated there is a requirement that a label be included to warn vulnerable groups of people about what authorities perceive to be the health risks associated with RDM. The Food Standards Agency in the U.K. is in the final stages of bringing in new compulsory labelling that will see raw milk in England, Wales and Northern Ireland include the following health warning, for more see this article. "The FSA strongly advises that it should not be consumed by children, pregnant women, older people and those who are unwell or have chronic illness." Farmers are not happy about it (example) but the FSA feel it is necessary. Australia being the risk-averse country that it is may introduce a similar labelling requirement. In addition, the label must contain product description name, location, contact information, expiry dates and volume. It is also useful to add that this product is best kept under 4'C at the lowest shelf in the refrigerator for longer shelf life. Campylobacter was recently found during a weekly test at a New Zealand dairy and as a precautionary measure, the shop was closed immediately. Arran Farm has never had a positive test for Campylobacter in the three and a half years of operating, and the farmer is confident it was a once off. They were expected to show negative test results for five days in a row before they could reopen. They were also advised to provide consumers with the following information on social media. The dairy farmer is providing "refresher" training to all staff to prevent the problem from happening again. In another article, we have expressed concern over the fact that raw milk is expected to have a perfect food safety record while all other foods are allowed to have a manageable risk. In the article you may discover that raw milk can be produced as a low risk food when regulated fairly. Even experienced systems can have problems if they don't have adequate risk assessment on the individual farm, more here. Keeping an electronic mailing list of all the email addresses of customers can be very beneficial for producers. Producers can either harvest the email addresses themselves when a customer first signs up to buy milk or encourage them to sign up via an electronic service. Mail services like MailChimp can make it easy to stay connected and also inform consumers if there is a recall. An efficient system of quick communication between consumer and producer may also allay the fears of food safety people.